Come Back To Me Glee! 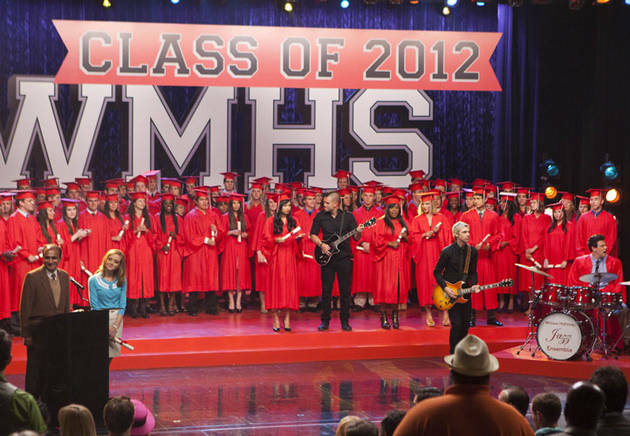 Ryan Murphy and the rest of the Glee crew managed to keep all of us Gleeks at the edge of our seats. I refused to read ANY spoilers and patiently waited for the season finale to air. And oh boy! I was in for a huge shocker! Let’s talk about Kurt not getting into NYADA and Finn not getting into the Actor’s Studio, much unexpected and beyond heart-breaking! And the biggest, saddest, heart-breaking and unexpected moment of the finale…….. Finn’s decision to join the Army, and send Rachel off to New York to pursue her dream. Rachel’s perseverance paid off, and for Season 4, we will get to see Ms. Berry take NYADA by storm. I don’t know about you, but that scene of Finchel in the car took me back to my high school years - to that time when you broke things off with your first love, and I got teary-eyed. Lea Michele (Rachel Berry) is able to convey such a believable heart-breaking moment, all of the crying as she sings Roots Before Branches alongside a very sad Finn. As with every season finale; I will find myself occupied all Summer and will patiently wait till Glee Season 4 returns, wonder what the new season has in store for us Gleeks? I am looking forward to some amazing solos by Darren Criss (Blaine), perhaps the return of The Warblers with Sebastian. Or, can you imagine the twist if Jesse Saint James somehow manages to move to New York and there is a romantic encounter with Rachel? No, actually, I hope Finn reconsiders and does not join the Army and instead follows Rachel to New York. And, I also look forward to Schuester & Emma’s wedding, the birth of Sue Sylvester’s baby and possibly new students joining the Glee Club. Well Gleeks sit tight because season 4 is scheduled to return in the Fall, but no specific date has been confirmed yet.